Complete design / layout, full web programming for both front-office and back-office. The site offers to international candidates the opportunity to apply to some college courses in Australia, grouped by categories and areas of interest. The pages are fully dynamic and can be managed using a custom administration module. 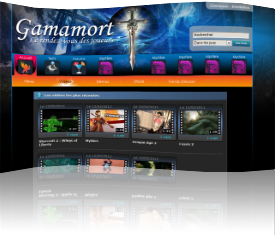 It's a site dedicated to gamers providing downloadable demos, game patches, videos, releases of new games, everything that a real community of gamers should have. The site has an administration module which allows the management of all pages, their content, and also an ajax calendar with upcoming events. 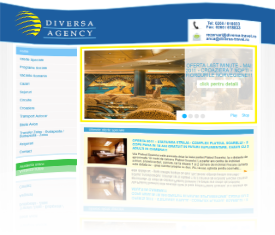 It's the presentation site for Diversa Travel Agency which offers a full range of tourist services: accommodations in Romania and abroad, cruises, special offers, tours, etc. The site is built in WordPress and allows the administration of all pages and of all tourist offers.